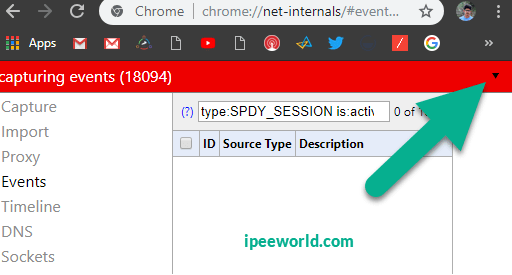 Err_spdy_protocol_error is a common error reported in the Google Chrome Web Browser, which is a networking related problem. This error can be fixed soo easily with the methods given below. Read this article and you will find the easiest of all the methods to fix it. If you don’t already know, SPDY is a networking protocol in Google Chrome by Google. This let us browse the web quite faster than before. Every data packets will be transferred safely and easily, Making the browsing experience seamless and little or no lag. Google Chrome is the most used Web Browser for both Android and Windows platform and it is quite common that we might end up getting some sort of warning or error throughout any point of usage. Some may be very frustrating at first, but actually, when we dig deep in and find the actual cause for the error, it is going to be really simple to get everything done fastly. Without waiting any more time, let’s fix ERR_SPDY_PROTOCOL_ERROR in Google Chrome. ERR_SPDY_PROTOCOL_ERROR error is mostly found when visiting Secure sites or sites with HTTPS protocol. Not just SSL enabled sites are affected but normal insecure sites are also affected by this error. Wikipedia and Reddit are two popular sites having this issue. In a lot of forums, people are telling that Wikipedia and Reddit are the most used two sites which are having the ERR_SPDY_PROTOCOL_ERROR error. Not just these two websites but tons of other websites are getting this error. When you are getting this error while visiting any website, there is nothing like this error will be there for all websites you visit. Some websites maybe still accessible while other won’t be. I will be mentioned more than 1 working method to get the error fixed. Will start from the simple one and then move onto the advanced version. If the simple one fixes the problem then you are not all required to go through the complex methods which might be hard for some. 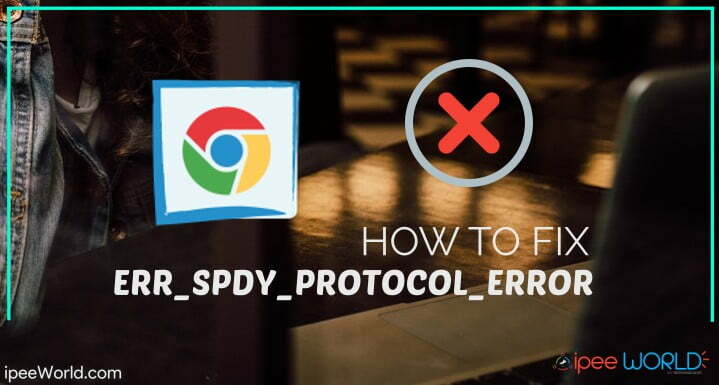 Let’s discuss some methods to solve and fix ERR_SPDY_PROTOCOL_ERROR 100% and get rid it from our Google Chrome Web Browser. In this method we will be completely flushing the SDPY Cockets of our Web Browser. To easily flush SDPY Sockets, simply follow the steps below. Step 1: Open up Google Chrome. Open a new tab and paste the below given address in the address bar. Step 4: Relaunch Google Chrome, Simply close and open it once again. If the settings do not come into action then go to Task Manager and Do “End Task” for all currently running Google Chrome process and try launching it once again. Now, the problem should get fixed. If not, follow the other methods mentioned right below. No one can ever tell when a new bug is found. If you are using an older version of Google Chrome which became obsolete in the near past. Then the chances are that new updates and patches might not be updated in your version of Google Chrome. So, it is always recommended that you keep your Google Chrome Browser updates to the latest version. It’s just a piece of cake for you to update the browser. If you don’t know how to do it. Follow the guide below to get it done and moving. Step 2: Click on the three dots icon from the right extreme top corner and click on the option Help. Step 5: Relaunch Google Chrome and hopefully it should work fine. If not then again go to the Task Manager and close all open instances of Chrome and then try again. And it should work fine. Clearing the Cache files may solve this error that you are getting in the Google Chrome Web Browser. Cache files are files that stores some particular pieces of information about the site you visit. The cache memory may contain Images, Files and Documents that are being pulled from the site that you frequently visit. Now, How Cache Works? Well, When you visit a website with Google Chrome for the first time, it might take a little longer than usual. Once you have visited that site, next time onwards whenever you visit that particular website, data may load up little faster thus loading the webpage faster and easier. This happens because data which are not dynamic will be cached to the Cache memory of the Browser and will use these data to load the website next time onwards. 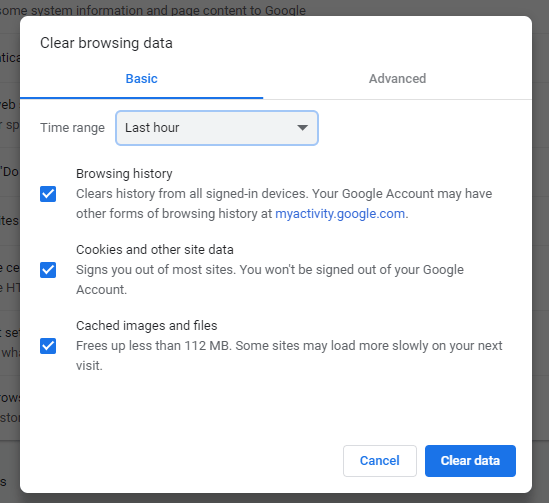 In Google Chrome, we can easily clear Cache. In fact, Clearing the Cache data might solve the weird issue of ERR_SPDY_PROTOCOL_ERROR. Scroll all the way down and click on Advanced Settings. Now, relaunch Chrome and see if the error has solved or not. So, that’s it, guys. This is how we solve the ERR_SPDY_PROTOCOL_ERROR error in Google Chrome web browser. Not just Google Chrome, If you find this error on any other browsers the methods mentioned above will work. 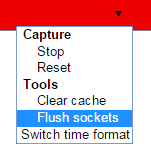 In most cases, flushing the SPDY Sockets will remove the error and fix it. If that doesn’t get it right, I have mentioned some other alternative methods that you could give a try, too. Do comment down below if you have any problem or doubts regarding the issue and I will get back to you at the soonest.